We were recently asked if we would like to work with the stylish online kids store that is Melijoe.com an amazing online shop just for kids that stocks some fantastic clothes and captures the fun nature of children's fashion and I thought what would make a better Street Style Sunday than a mini-me version this week . From well known designer labels to more independent and quirky brands it's a great place to pick up something a little bit special. 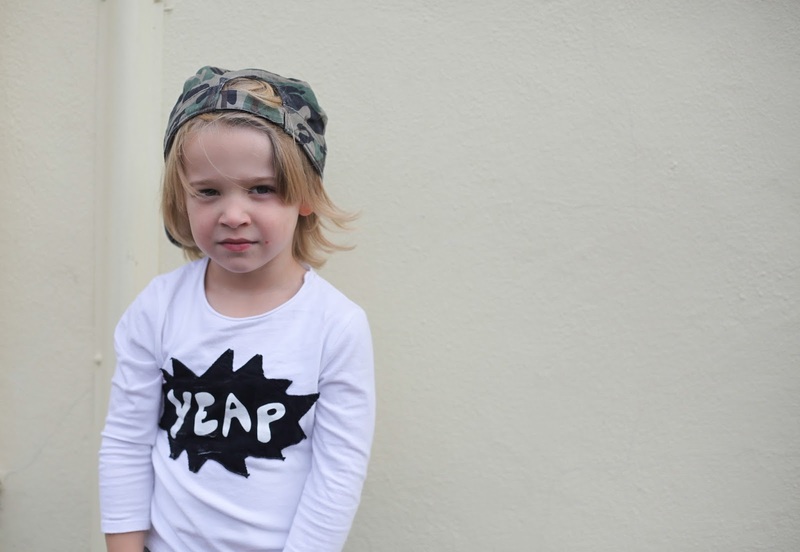 I love all the French labels they have and when I saw this IKKS yeap tee for Mr A I had to get it as it's so fun and perfect for an active boy. I paired up the pop art tee with a Pepe skinny jeans, both of which are robust and well made and Mr A has been sure to put them to the test with lots of recent outdoor adventures in this outfit. As some of you may already know John is a sort of collector of all things Ralph Lauren and has been eyeing up the bear jumpers they do for himself so when we saw they do these for babies he nearly fell over backwards and thought it would be the perfect winter jumper for Baby G. Yes the jumpers are on the more expensive side but it really is a one off since we have reused all of Mr A's clothes for Baby G so we thought this would make a nice treat coming into the festive season. It's funny how they both have completely different personalities and this is reflected in their style - Mr A has come into his own in terms of what he wants to wear and picks his own outfits daily and by know what he likes we knew these would be a hit. Baby G is very easy going and always smiling and as long as he is warm and cosy he is happy. 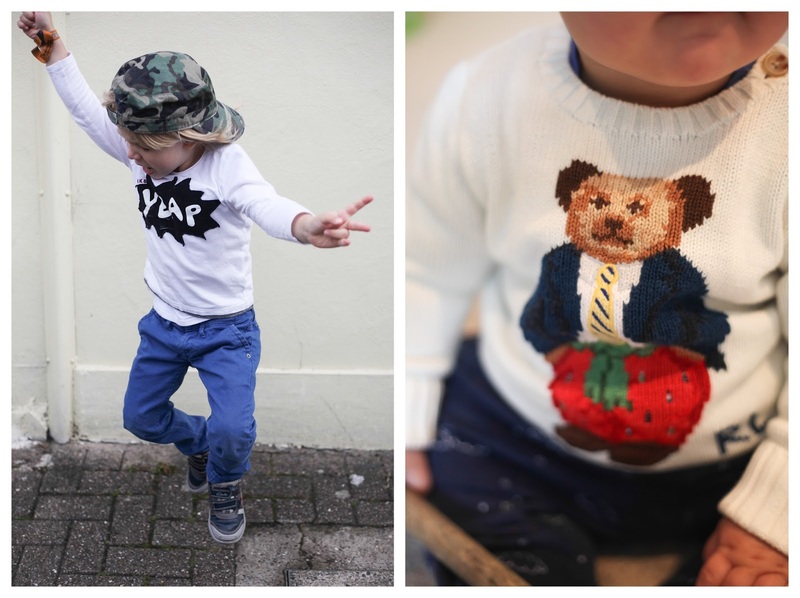 What have you or your little ones been wearing this week? Do come and join and share with us at on the Street Style Sunday family fashion link up. love A's tee! and that jumper is adorable (as is G's smile!). 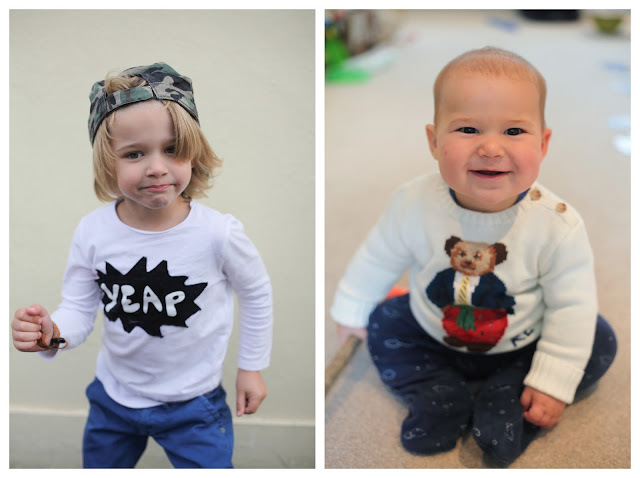 Both boys are properly rocking their outfits - so cute! That little teddy jumper is so adorable I actually want one in my size. And that smile! Mr A is looking like a proper little cool dude here! 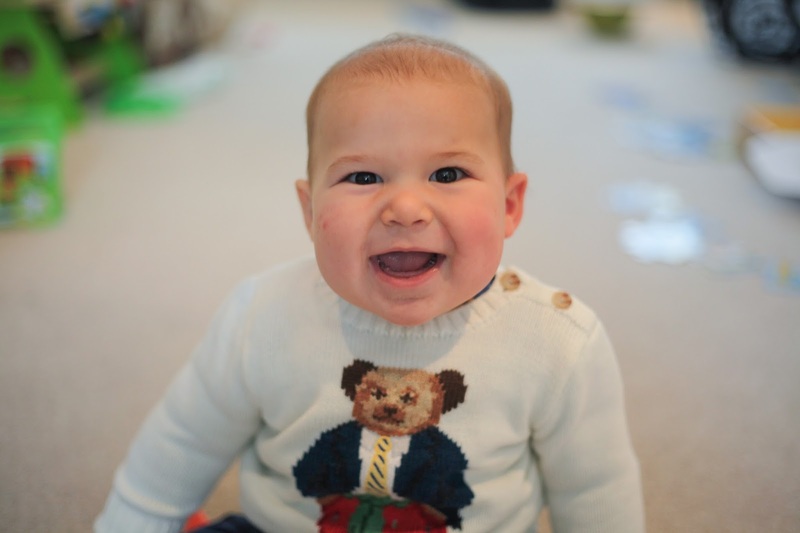 I absolutely love G's jumper, it is just adorable!